The 2017 MHSA Stock Seat Medallion Finals were once again held at the Central States Fall Classic. Under the leadership of Lynn McCallister and Lenard Davenport, this show is rapidly becoming an exhibitor favorite since its beginning in 2015. Enter to win a 17″ Blue Ribbon Saddle and an Equine Touch Session, total value at $1,075. 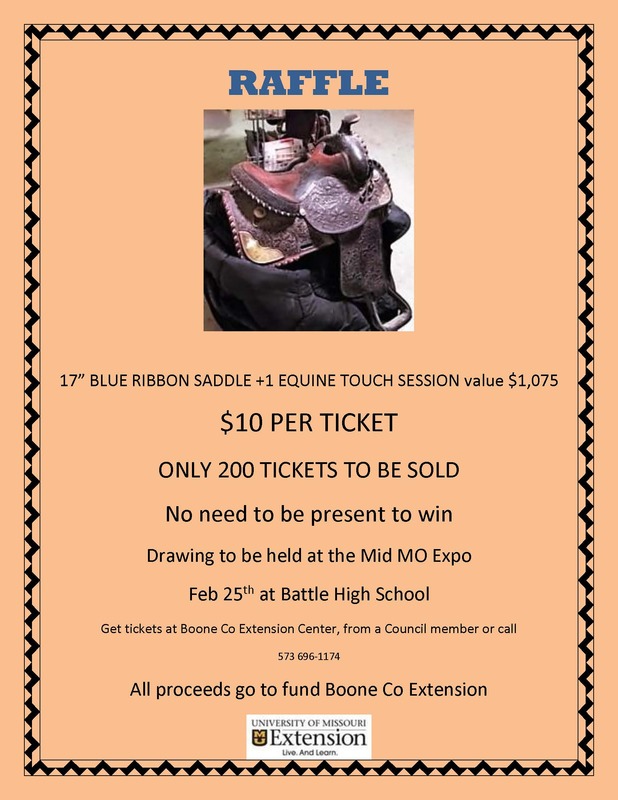 All proceeds go to fund Boone Co Extension. You DO NOT need to be present to win!